One of the things I love about living in Le Petit Village is that we get all four seasons to their fullest; printemps is always bright and chirpy, l'été is gloriously hot, automne is perfectly crisp and hiver, well hiver is freaking freezing. But with all of that freezing cold usually comes snow, and for me, you can't have a winter wonderland without snow. The only downside has been that for the past few years I have been without proper snow boots. Since I'm more of an indoorsy girl than an outdoorsy one, I didn't feel like doling out the bucks for some boots that I would wear only a few times a year. But then the snow would tumble down and I would want to go out and play in it with Fifty (Monsieur Fifty capital L loves the snow) and I would end up with my toes freezing inside my Hunters... not fun. So imagine my excitement when Blacks, an outdoor and travel clothing company, offered to send me a pair of winter boots (we're talking cartwheel level of excitement). How cute are these things?! They're comfy to boot, like bouncing on pillows kind of comfy, and most importantly, they're nice and warm. Now if I could just get it to snow again (please, please, please snow before Christmas), I'll be all set. Not only has Blacks made sure that I am now properly equipped for winter wonderland frolicking, but they're going to help one of you guys be too! One lucky reader is going to win a pair of North Face Women's Etip Gloves so you can keep your digits warm and tweet and instagram at the same time. Bonus... it's just in time for the holidays! P.S. Blacks is currently holding a 12 Days of Christmas sale with selected products at 25% off, and selected fleeces at 50% off... perfect for the holidays, you won't want to miss it! Love those boots - so cute!! the boots are adorable and stylish - very cool! Those are very cute! Even after five years I still haven't bit the bullet to buy snow boots. I like! I normally fail at buying any shoes without heels since they're just prettier, but those are cute and practical. Lucky you! Love the new boots! I can't blame you for wanting some snow ~ I would too just to wear those. Fun! I can't enter because that would just be silly (living in sub-tropical Australia) but may I just say they are really nice boots. If I were still in France I'd be 'round your place trying them on. 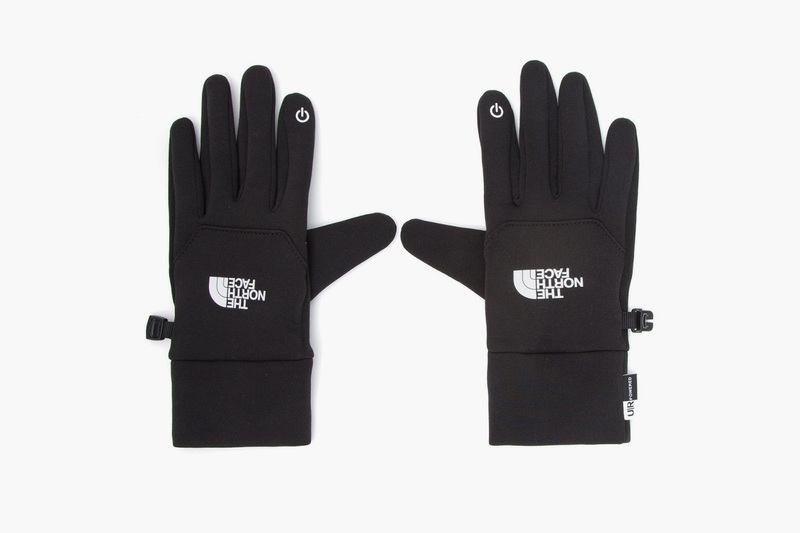 I have these gloves and am obsessed, but I still entered because I will totally gift them to another phone-addicted friend. Love your boot selection! those boots are awesome! I totally need a similar pair. now I wear uggs in the snow and though they keep my feet pretty warm, they get wet and I am probably ruining them ha. 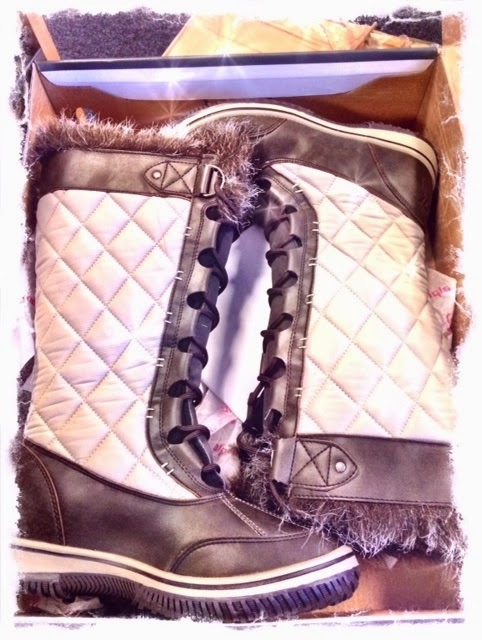 what a great giveaway and yay for new boots to play out in the snow!! Those boots are absolutely GORGEOUS!! Blacks started just down the road from me, enjoy the boots! Those boots are gorgeous - they actually make me more open to tolerating winter! Those boots are particularly cute - not only cosy but stylish too which is always a bonus. I love the quilting. Lucky you! Practical gloves too. FREE BOOTS?!?! Lucky you! Those are gorgeous! I have slowly been phasing out all of my sandals and shoes with anything over a 1-inch heel. They just aren't practical for London. :o( Instead it's boots, boots, and more boots! Cute boots! And what a great giveaway! My hands are always cold! Hope you are having a wonderful weekend, Sara!